Satoru Iwata, Nintendo President, was prodded with some healthy questioning during Nintendo’s most recent investor meeting. Someone asked him why, exactly Nintendo was only releasing one first party effort for the launch of the 3DS. That game, for those that are unaware, is Nintendogs + cats. Iwata offered up three distinct reasons for the decision to hold off on a library of already complete first party offerings. 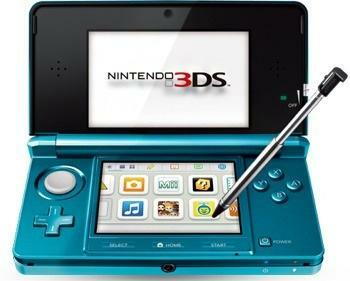 Iwata first pointed towards the software built into the actually handheld. That roster consists of a paltry offering of two actual games (both based in augmented reality using the handheld’s cameras), a Mii creator, Mii Plaza, a web browser, etc. Iwata explained that the built-in software should serve as a conversation starter and interest builder for the 3DS, much like WiiSports did for the Wii. Finally, Iwata explained that Nintendo wanted to stagger the releases of their larger titles so that the 3DS’ software lineup won’t seem to dry up too quickly. This last one we can actually understand. The Wii saw a slew of incredible games accompany it to store shelves at the onset. Then, nothing. Players held fast to the golden hits from those first few months as they were consumed with a draught of quality gaming that seemed to last forever. Nintendo must have learned their lesson as spreading the love around is the best option. However, the first and second points are troubling. 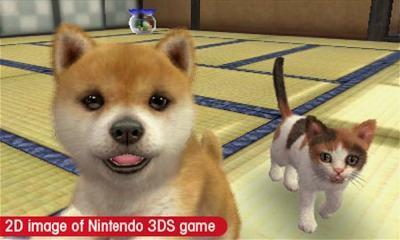 Nintendo selected Nintendogs + cats as the game that would champion their new handheld to the market. Why? I understand the decision to only release a single game, yes, but why that single game. It’s odd that the company would essentially tease its diehard fans with massive licenses and deliver something most gamers don’t want. Yes, there are a few third party titles worth owning, but why not give fans Zelda at the onset? We’d love that. Nintendogs + cats? Really?